Għax hekk bil-fors taħseb meta taqra s-sentenza tal-Maġistrat Mifsud li l-ġimgħa l-oħra illibera liċ-Ċaqnu mill-akkuża li kellu zoo illegali fil-kumpless Montekristo fil-limiti ta’ Ħal-Farruġ. Dan minkejja li kulħadd jaf mhux biss biz-zoo illegali, imma ukoll bit-tigra li għamlet għal tifel u weġġgħetu serjament. Il-fatt li l-Pulizija ma ippreżentatx provi għandu jħassibna ħafna. Iktar u iktar meta nafu li ċ-Ċaqnu għandu l-fama li jipprova jagħmel li jrid. Ħafna drabi jirnexxielu għax min għandu l-obbligu li jwaqqfu ma jagħmel xejn. Ma nafx jekk dan kienx kaz ta’ negligenza mill-Pulizija inkella jekk hemmx spjegazzjoni oħra, agħar minn hekk. Nittama li l-Kummissarju tal-Pulizija isib il-ħin biex jinvestiga lill-Pulizja li għamlu din il-froġa u wara jiehu l-passi li jirriżultaw meħtieġa. Għax it-tigra taċ-Ċaqnu ma sparixxietx. Huma l-pulizija li qed jisparixxu, ftit ftit. The setting up of a pre-electoral alliance is a complex exercise. Alternattiva Demokratika recognised the strategic importance of forming pre-electoral alliances a long time ago – in fact, prior to the 2008 general election, it had (unsuccessfully) taken up such an initiative itself. The actual result of the 2008 general election was so close that any pre-election alliance would have had a substantial impact on the final result. This was very clear in the polls commissioned and published in the run-up to that general election. The difference in votes on a national level between the PN and the PL in the March 2008 general election was a mere 1580, with AD receiving 3810 votes first count votes. When examining the possibility of forging a pre-election alliance there is generally a choice between two approaches to take: either a principle-based approach or a pragmatic one. The principle-based approach for a pre-election alliance seeks a long-term view based on building bridges that can possibly withstand the test of time. A pre-election alliance based on principles is based on an agreed shared vision. Even if it is not all-encompassing, this can be easier for voters to identify with as it entails a positive proposal: the shared vision. On the other hand, the pragmatic approach is one aimed solely at the desired result. It is arithmetically driven. It can signify the lumping together under one umbrella of all sorts of views with (possibly) a minimum common denominator. The National Front pre-electoral alliance set up by Simon Busuttil and Marlene Farrugia was, in my opinion, one of the latter. Not only did it include the Nationalist Party and the Democratic Party but also the fringe elements of the PN itself, which had previously been weeded out over the years as undesirables. The National Front was a pragmatic exercise to the extent that an analysis of the actual votes cast clearly shows that the PD link with the PN resulted in no votes being added to the PN by the PD. Some may argue, for example, that votes cast for PD candidates in the fifth district (Marlene Farrugia’s home district), helped the PN turning the tides on Labour by recapturing Labour’s fourth seat. This is not so, as the gain of an additional seat by the PN on the fifth district was exclusively due to boundary changes: the village of Marsaxlokk having been moved to the third district and it being substituted by the hamlet of Ħal-Farruġ from the sixth district. 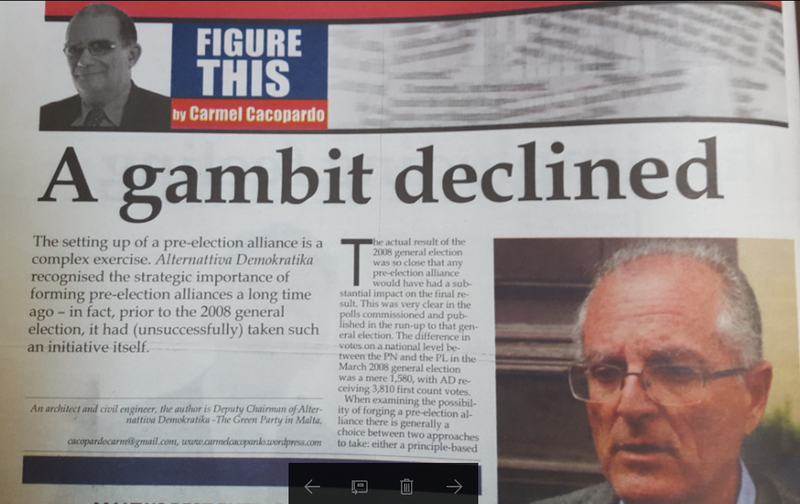 The PN/PD alliance failed in its major arithmetic objective as it is clear that it failed to attract a significant number of disgruntled voters. Actually, it rather repelled them with its continuous negative messages and sent most of them back to Labour. Unfortunately, this failed attempt will dissuade any other attempt at alliance-building in the immediate future, as no political party enjoys being taken for a ride, as was Simon Busuttil’s party. Declining the invitation to join the National Front as an appendix to the PN was the correct response from Alternattiva Demokratika. It was an exercise in foresight that has been proved right. Listening to “independent” journalists and self-centred intellectuals advocating the Busuttil/Farrugia National Front was a very sad experience, as these were the same people who should have taken the PN itself to task for its internal contradictions on issues of good governance. By endorsing the PN-led National Front, unfortunately, they ended up endorsing the PN’s misdemeanours when they should have been at the forefront of those insisting that the PN clean up its act before claiming any right to wear the suit of shining armour. In another context, it was former PN Finance Minister Tonio Fenech who made the most appropriate statement earlier this week in the Malta Independent. Answering his own rhetorical question as to what the Nationalist Party stands for, Tonio Fenech replied: “The only true answer I can give is, I don’t know”. Il-PN qed jipprova jiġbor ġieħu. Qed jitkellem u jipprova jagħti l-impressjoni li l-għandu l-ambjent għal qalbu. Qed ixerred id-dmugħ tal-kukkudrilli dwar l-ODZ. Il-PN ma jaqbilx mal-bini barra miż-żona tal-iżvilupp (fl-ODZ) tgħidilna l-kelliema tal-PN dwar l-ambjent Marthese Portelli bi kważi d-dmugħ f’għajnejha. Sadanittant imma l-PN jibqa l-partit li fiż-żmien li għamel fil-Gvern għamilha possibli biex isir bosta bini barra miż-żona tal-iżvilupp. Fl-artiklu tal-bieraħ fuq dan il-blog semmejt iż-żewġ miljun metru kwadru ta’ art ODZ li saru tajbin għal bini bil-barka tal-PN fil-Gvern. Imma hemm bosta iktar eżempji. Tiftakru meta twaqqgħet il-Lukanda Solemar fil-Marfa u l-binja li telgħet flokha kienet ferm ikbar milli kien indikat fil-permess? Dakinnhar l-iżviluppatur kien bena bla permess fuq art pubblika, ukoll barra miż-żona tal-iżvilupp. Il-Gvern immexxi mill-PN (direttament jew permezz tal-MEPA) flok ma applika l-liġi u waqqa’ l-bini bla permess, sab “soluzzjoni” billi wara ħruġ ta’ “sejħa għall-offerti” irranġa kollox. Anke dakinnhar l-arroganza rebħet billi l-Gvern baxxa rasu quddiem min ħataf l-art u abbuża. Dakinnhar ukoll art ODZ inbniet u l-Gvern immexxi mill-PN ma tniffisx ħlief biex jikkoopera ma min seraq l-art pubblika. Smajtu f’dawn il-ġranet dwar il-bini tad-diversi friegħi tal-Lidl, b’mod partikolari dawk ta’ Ħal-Safi u Ħal-Luqa li t-tnejn inbnew f’żoni ODZ ukoll fi żmien Gvern immexxi mill-PN. Fl-2008 Alternattiva Demokratika kienet semmgħet leħinha dwar il-każ. Ara hawn dak li ktibt dakinnhar. Nista’ nibqa’ sejjer, u ma nispiċċa qatt. Dawn huma kollha dnubiet ambjentali li ma nħafrux u l-anqas ma ntesew bħala riżultat tal-aħħar elezzjoni ġenerali. Għax għadna nbatu l-konsegwenzi bħala pajjiż. Ser nibqgħu nbatu l-konsegwenzi, u l-PN li kien il-kawża ta’ dan kollu frisk bħal ħassa, jidhirlu li l-Passat għadda u mar. Mhux jien, jgħid Simon Busuttil. Mhux jien tgħid Marthese Portelli. Imma sadanittant lil dak li kien responsabbli biex idderiġa din il-ħerba, lil George Pullicino, ħbewħ u issa tawħ l-inkarigu ta’ kelliemi tal-Opposizzjoni għal Kindergarten. Il-passat ambjentali tal-PN ma nistgħux ninsewh. Għax mhux biss ħarbat il-preżent iżda għamel il-futur ta’ dan il-pajjiż iktar diffiċli. Meta tqis dan kollu, d-dmugħ tal-kukkudrilli tal-PN dwar l-ambjent hu kollu bluff. 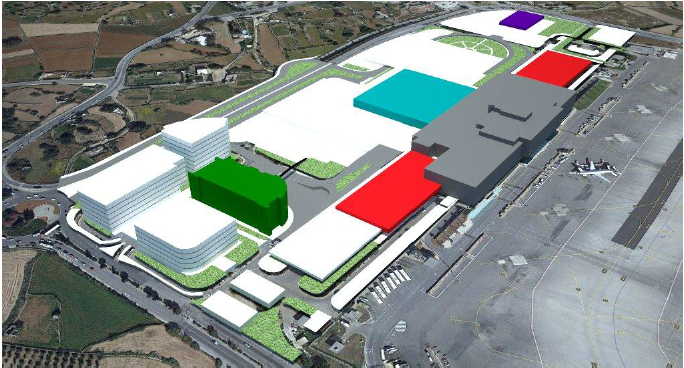 Il-passat tagħhom hu mera tal-futur. Kważi ħamsa u għoxrin sena huma iktar minn biżżejjed biex juruna dak li fil-fatt jemmnu. Il-Labour huma agħar minn hekk, kif qed naraw u ilna naraw ġimgħa wara l-oħra minn Marzu 2013 sal-lum. Fi ftit kliem, m’hemmx x’tagħżel bejniethom! Malta’s environmental policy has to date been EU driven for the simple reason that the political establishment in Malta has resisted its development. Dumping environmental responsibilities with land use planning has, in my view, been an integral part of this strategy. Notwithstanding its past performance, the government’s declaration that it will now embark on consultations leading to the formulation of an environmental policy, which is locally driven, is welcome news. Only time will tell whether this is another exercise in green-washing. The government’s commitment to safeguard the environment is not to be gauged through its declarations but through its actions or lack of them. 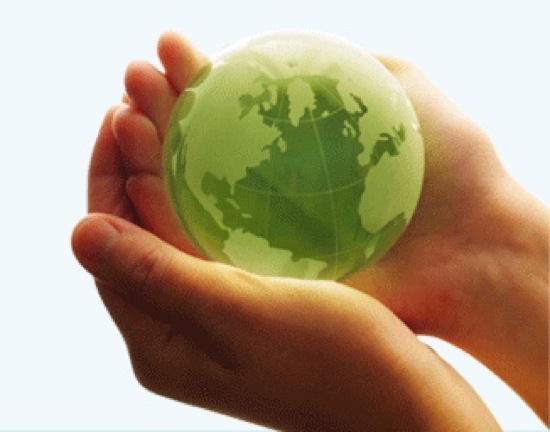 Its lack of environmental credentials has been manifested many times. The latest being by Parliamentary Secretary Mario de Marco who, when introducing the Environment and Development Planning Bill in Parliament, stated that the environment will “no longer be the Cinderella of development”. This has not come about accidentally. It was a deliberate exercise as a result of which the expertise, which the former Department for the Environment was slowly accumulating, was wiped out. Those who plotted the merger needed to ensure that environmental decisions were subject to development considerations at all times. Cabinet responsibility for the environment made its first appearance immediately after the 1972 Stockholm Human Environment Conference. In 1976, Malta had a Minister for Health and the Environment. His environmental remit focused on landfills. During his watch, the Luqa and Wied Fulija landfills were closed and a new landfill at Magħtab was opened! The first real minister for the environment in Malta was Daniel Micallef. He was appointed in 1986 during Labour’s last months in government by then Prime Minster Karmenu Mifsud Bonnici, who was seeking to counterbalance the widespread corruption in the Lorry Sant-led Ministry of Works. This corruption was subsequently documented. Between 1986 and 2002 much was achieved. It would suffice to state that when, in 2002, the Department for the Environment was disbanded it had more credibility and was much more effective than Mepa’s Environment Directorate is today. A local company that bottles water and soft drinks was recently awarded the 2009 Environment Award for Industry by the Cleaner Technology Centre. The company had relocated to a new site, upgrading its facilities to function eco-efficiently. But it still makes use of substantial amounts of water extracted from the water table through boreholes and sells this as bottled water and soft drinks. Extraction is to the tune of 51 million litres annually. The director of the Cleaner Technology Centre, when prodded in other sections of the press, admitted that the award adjudicating board was not aware that the company extracts ground water through boreholes. Seen within the context of Malta’s depleted water table this award is environmentally blasphemous. Some persons entrusted with environmental matters have a proven capability of justifying the unjustifiable. This partly explains why Malta’s environmental administration is in shambles. Within this context I believe there are more pressing issues than the drafting of an environmental policy. Applying all the EU environmental acquis would be a good first step. A point I have harped on in these pages (1) (2) is the non-implementation of the waste from electric and electronic equipment directive. This directive applies “the producer responsibility principle” as a result of which producers and their representatives have to take back electrical and electronic waste from consumers. Most importers are aware that they are in breach of the directive’s provisions. They feel, however, that they cannot honour their obligations unless the government reviews the eco-contribution regime as, otherwise, they will end up paying twice for the same responsibilities: a payment through eco-contribution and another one through financing the take-back. There is also a need for legislation regulating noise pollution. EU legislation on the matter (the environmental noise directive) deals only with traffic/transport-generated noise and substantial parts of it are not applicable to Malta. 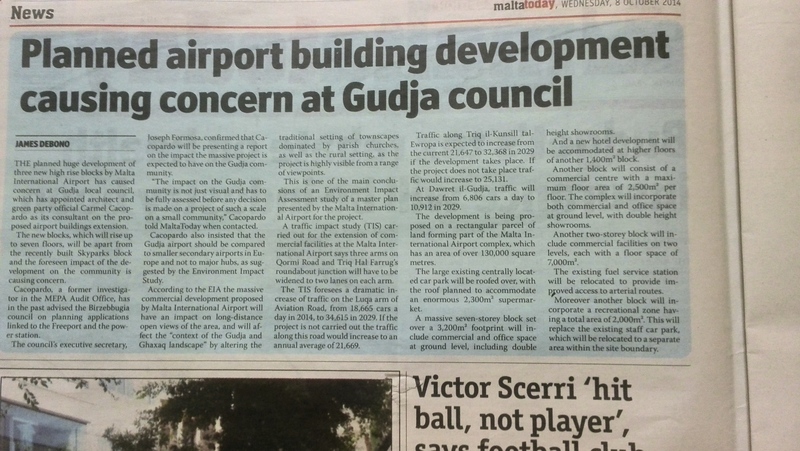 As the EU does not deal sufficiently with the matter, Malta has to date considered it safe to conveniently ignore the need for noise pollution legislation completely. In a densely populated community this issue is of the utmost importance, yet, successive governments have not been bothered. These examples (water, waste, noise) just scratch the surface of the deficiencies of the environmental set-up, an area which has been continuously muzzled, sidelined, ignored and deprived of resources. It is this attitude which has to change. The environmental policy this country needs is one which enables its government to be clear and consistent. Declarations on their own are not sufficient as commitment has been continuously absent. If the government really wants to translate its declarations into action it will take much more than an environmental policy to Green Cinderella.